With the MeshAK / Edit Mesh converter utility you can convert all MeshAK modifiers in your scene to Edit Mesh modifiers and vice versa. This is useful, if you want to give away a scene, and you don't want the recipient to be forced to install additional modifiers. On the other hand, you can use the new features of Mesh Army Knife also on existing Edit Mesh modifiers (e.g. 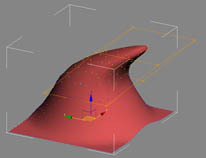 partial resetting vertices). 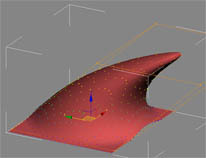 You can find this converter in your utility panel under "MeshAK Converter"
It is not possible to access the Edit Mesh modifier data via official data access mechanisms (parameter blocks, maxscript or similar); the data has to be accessed directly, which is a very unsafe way to handle data. Thus, the converter is potencially not very stable, though it ran several testing here without problems. 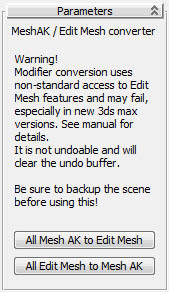 If the data structure of Edit Mesh changes in a new 3ds max version, the converter will completely fail. Only a recompiled version will help in this case; but this is not very likely. Mesh Army Knife has several new features, which can not be converted to a standard Edit Mesh modifier. Most of these features are no problem, since they either are not crucial (Soft selection shading), are only user interface features (UV correction), or are stored in data structures similar to Edit Mesh. But two features can cause problems, if modifiers in the stack above refer to it: The "Lock Stack" feature and the Softselection lock. If you use these two features, there will be a warning dialog telling you which modifiers on which nodes can cause problems. You may cancel the conversion in this case. Due to the complex nature of the conversion, undo won't work for it and the undo stack has to be cleared completely. Because of this problems, I strongly suggest to back up your scene before converting!